Dr. Drosick developed his ability to focus on the individuality of each patient while studying at the University of Kentucky. “I had several great mentors at the University of Kentucky that impressed me with both their skill and compassion. I follow that model in caring for patients because exceptional cancer care encompasses total care of the patient,” he said. 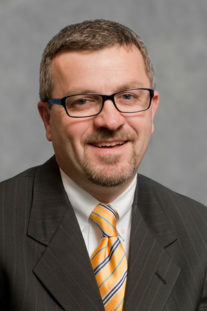 Dr. Drosick received his medical degree from West Virginia University and he completed an internship, residency and fellowship at University of Kentucky. He is board certified in internal medicine and medical oncology by the American Board of Internal Medicine. His areas of special interest include lung cancer and breast cancer. In his spare time, Dr. Drosick enjoys running, kayaking, biking, snow boarding, and playing in his rock ‘n roll band. Running, kayaking, biking, snow boarding, and playing in his rock ‘n roll band. As a member of our OHC physician team, Dr. Drosick has full access to the OHC Clinical Trial research program. Dr. Randy Drosick is an amazing Oncologist. He takes time to listen to your concerns and somehow always makes you laugh. Great guy. He is the best! Thank you for always being dedicated, compassionate, and funny!! 15+ years and counting! Thank you for taking care of my mother. He has saved my life 3 times! I’ve been with him 20+ years and he’s the best!! He has taken care of me for a little over 5 years great doctor very compassionate. Dr. Drosick is an awesome, compassionate, caring, concerned, Christian, a man of many talents. Thanks so much for being there for Bill and my family. Dr. Drosick cared for my dear sister, Paula, from 2005-2007. She was not one of the lucky ones. But during her two year fight with breast cancer she was treated with such compassion and love by Dr. Drosick and his staff. As devastating as losing her was, I will always be GRATEFUL that he did everything possible for her, both medically and emotionally. It's a very caring practice. Dr. Ward was my doctor during the same period. I can't say enough about important it is to have doctors that truly care, while providing the best medical care in Cincinnati! He saved my life too! I love this little twerp! Dr. Drosick saved my life 22 years ago!! I’m so grateful for his wonderful care and sense of humor!!! Dr. Drosick has taken care of my husband since 1996. We still get treatment every 3 weeks but without Dr. Drosick I do not believe my husband would still be here. He is the best! He walked me through my breast cancer treatment with great compassion, knowledge and laughter. A rare combination in physicians today!